Founded in 2016, ReDefining PR is a boutique agency that serves a diverse set of clientele, from mom and pop startups to global organizations. 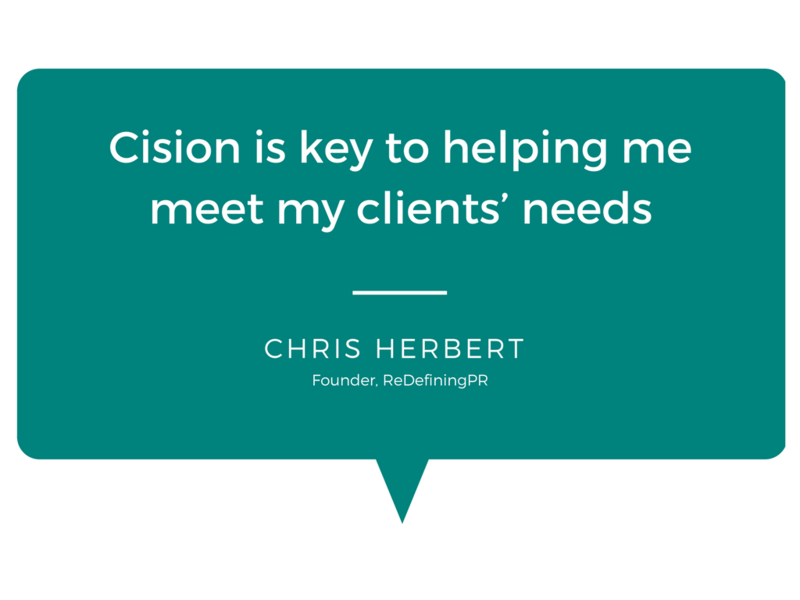 Founder Chris Herbert has more than 20 years’ experience in the public relations industry. While ReDefining PR operates out of a single office in Ohio, many of its clients are national and multinational organizations. “Because our clients are global, we are constantly tasked with creating strong media lists for audiences we aren’t always familiar with,” said Herbert. ReDefining PR sought a monitoring and targeting platform that could streamline their processes for higher efficiency across multiple markets. ReDefining PR turned to the Cision Comms CloudTM, a global, cloud-based communications solution to manage editorial coverage and online mentions. “It’s almost impossible to keep up with clippings yourself, especially those that are feeders and are syndicated,” said Herbert. “It’s important to be able to mine and collect that data effectively so we’re able to measure the value of press campaigns and leverage the coverage to support sales efforts.” The agency also taps into Cision’s media database to build hyper-targeted media lists for each of her clients' campaigns.